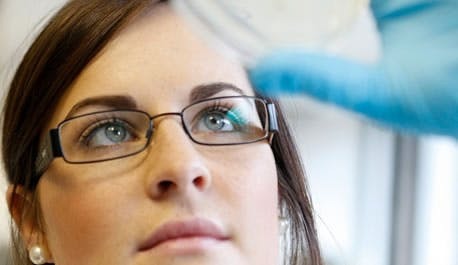 At the University of Stirling, being the difference is in our DNA – providing education with a purpose and carrying out research that helps to shape society. We are an international university with pioneering spirit and a global reputation for high-quality teaching and research. We are passionate about creating impact in everything we do.Stirling is a place where ability is valued. Leading the way globally in our areas of research expertise and through the delivery of an outstanding learning experience. Being open in all we do, communicating the work and worth of the University to the wider world, and engaging people in the delivery of our vision. Growing the University in innovative ways, embedding sustainability, and making it a role model for the sector. Since its founding in 1967 the University of Stirling has been helping its graduates, staff and students to shape the world. Our history begins with a visionary who recognised that society was being transformed and it needed people skilled in navigating change. On 18 September 1967, 164 undergraduate students and 31 postgraduates began their courses at the new Pathfoot Building. 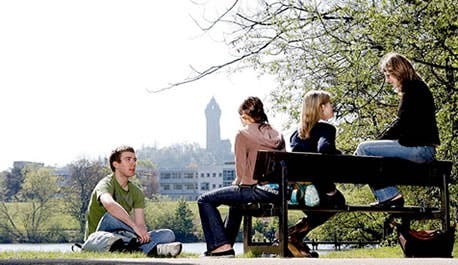 The University of Stirling is organised for learning, teaching and research into five faculties, each of which comprises multiple departments, institutes and centres. Our structure allows us to collaborate across disciplines, bringing fresh ideas and creativity to our research and thinking. Stirling is an international university that welcomes the world with proud Scottish hospitality. We offer our students experiences of a lifetime through our Study Abroad programme and we prepare our students to thrive as global citizens in an increasingly connected world. More than 97% of our undergraduate leavers are in employment or further study within six months of graduating. 96% of our postgraduate leavers are in employment or further study within six months of graduating. If you’re looking for the perfect place to call home during your studies, we’ve got you covered. Our range of secure and affordable accommodation includes over 2,000 rooms right on our beautiful campus, as well as easy-to-reach off-campus residences. As a first-year student, you'll normally be allocated a single study bedroom in a University residence. The University has 2,900 bed spaces, over 19 properties, and your accommodation may be located either on-campus or off-campus. Postgraduate accommodation contracts run for 50 weeks from September to August. This means you can stay in your room over the Christmas holiday period if necessary. With hundreds of thousands of books and plenty of room for research and study, our spacious library offers all the tools and resources you need to succeed. Whether you want to work in silence or collaborate on new ideas, you'll find the perfect space across the library's four floors – from comfortable study pods to a 24/7 zone that's open whenever inspiration strikes. When you join the University you will receive a network user name and password giving access to the high powered University network and IT facilities. Students with their own computers, laptops and mobile devices can connect them to the network and continue to use our services in the University accommodation or when away from the University campus. To provide for your healthcare needs during your time at university, our campus plays host to a dedicated NHS general medical practice and dental centre. Every student is entitled to register for these practices and benefit from the friendly, personal service they offer. Our stunning campus, with its castle, loch and golf course, enjoys views of the foothills of the Scottish Highlands, and is often cited as among the most beautiful in Europe. Our existing campus atrium is being transformed into a modern three-storey hub encompassing new social and learning spaces. The project will create 3,000m2 of additional floor space and maximise the impact of the University’s natural surroundings. As well as giving you easy access to essential facilities such as a bank and pharmacy, the atrium is the perfect place to catch up with friends over lunch, coffee, or even a quick game of table tennis. We’re building an iconic new sports complex to underscore our status as Scotland’s University for Sporting Excellence.